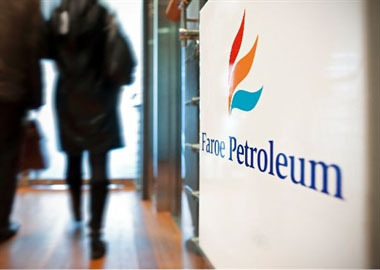 Faroe Petroleum, the independent oil and gas company focusing principally on exploration, appraisal and production opportunities in Norway and the UK, has announced the conditional acquisition of a further 13.9935% interest in the Blane Field in the UK North Sea from JX Nippon Exploration and Production (U.K.) Limited for a total consideration of USD 5.25 million. Blane was discovered in 1989, and is located on the Central Graben of the UK continental shelf, extending into the Norwegian sector. Production commenced in September 2007 from a Tertiary Palaeocene Forties sands reservoir with a structural closure. The field has been developed as a sub-sea tie-back to the Ula platform (Faroe 20%), located on the Norwegian continental shelf (34 kilometres to the north east), and currently comprises two horizontal production wells with gas lift and one water injection well. The 13.9935% interest in the Blane Field is derived from a 17.0653% interest in UK Licence P111 covering Block 30/3a (upper). The Acquisition is expected to complete before the year-end and is subject to UK regulatory approval, the approval of the Blane joint venture partners and the resumption of production after the completion of certain scheduled sub-sea works this summer. The Acquisition consideration of $5.25 million, prior to working capital adjustments from the effective date of 1 January 2017, is to be funded from existing cash resources. The Blane Field is operated by Repsol Norge AS and the other joint venture partners are Dana Petroleum (BVUK) Limited and Repsol Sinopec Resources UK Limited. Value accretive: consideration of USD 5.25 million corresponds to approximately $5.0/boe; value synergies include greater profitability, tax efficiency and enhanced debt capacity. Strategic fit: deal consolidates Faroe’s existing Blane position to in aggregate a 44.5% non-operated interest; high quality 42° API oil, tied-back to Ula (Faroe 20%), one of Faroe’s key hubs. High margin field: Blane is a low operating cost field and the derived 2016 EBITDAX attributable to the Blane Interest was USD 5.4 million. Upside potential: Blane had 2016 gross production of approximately 2,900 boepd and has potential to grow reserves, extend field life and reduce unit opex.